Ideal for industries with requirement for moving large volumes of rubbish. Made from durable material, and contain a percentage of recycled materials. These are available in a variety of gauges in HDPE and LDPE to choose from. For industries with requirement for moving large volumes of rubbish. Singlet Checkout Bags Degradable Large. White. 17mu. 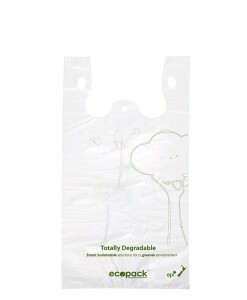 Singlet Checkout Bags Degradable Medium. White. 16mu. 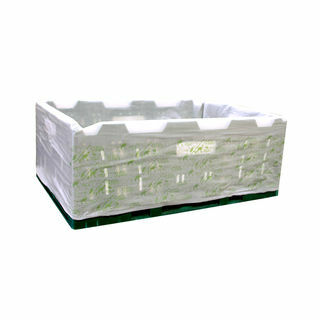 A convenient food grade carton liner to prevent leakages and protect fresh produce for cartons or crates. Carry Dispenser for Earth Rated Degradable Dog Waste Bags. Roll of 15 bags included with each dispenser. Dog Waste Poop Bags by Earth Rated. Degradable. Lavender scented. 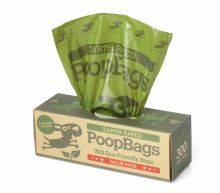 Dog Poop Bags Degradable from Earth Rated EcoBags. Lavender scented sturdy bags. Use with Green Dispenser. Box holds 8 rolls of 15 bags (120bags). Bundle of 12 boxes (1440 bags). 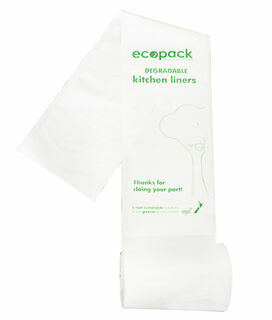 Dog Waste Bags with Handles from Earth Rated, EcoBags. degradable. Lavender scented. Carton 24 boxes of 120 bags (2880 bags). $310.44. $0.108c per bag. 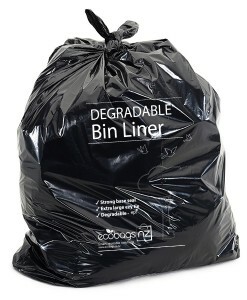 27 Litre Degradable Office Bin Liners. White. 15mu. 36 Litre High Density Office Bin Liner. White. 25mu. Carton 600 bags (20 rolls of 30bags). Suitable for carrying fresh fruit and vegetables. 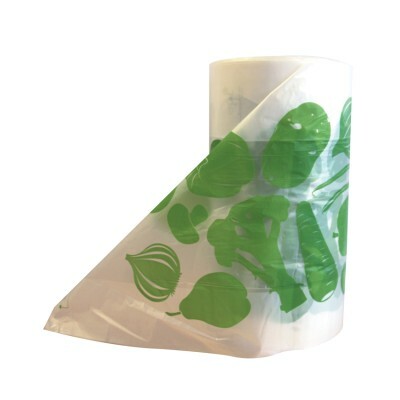 These fresh produce bags conveniently come on cardboard core to fit standard bag roll dispensers.